Enjoy your music on the go, everywhere you go. The SoundLink® Mini Bluetooth speaker II delivers full, natural sound with dramatically deeper bass than you'd expect from an ultra-compact speaker that fits in the palm of your hand. It connects wirelessly to your smartphone, tablet or otherBluetooth device, so you can listen to your music, videos or games anytime, anywhere. 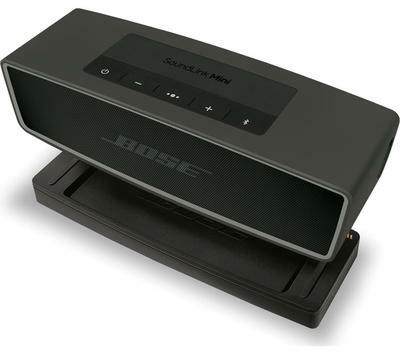 And the built-in speakerphone lets you take calls out loud, too. 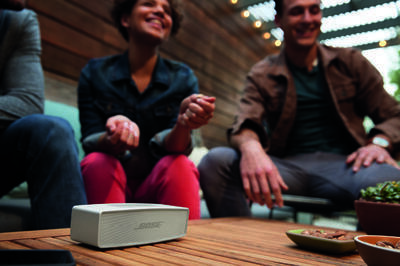 SoundLink® Mini II has a range of about 30 feet, so you can enjoy the sound you want without wires. Voice prompts talk you through pairing with your smartphone, iPad or otherBluetooth device, making it easier than ever. And the speaker remembers the most recent eight devices you've used, so reconnecting is even simpler. 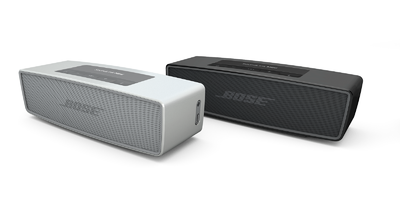 The SoundLink® Mini speaker II is designed for sleek simplicity. Its single-piece aluminum casing is both attractive and durable. 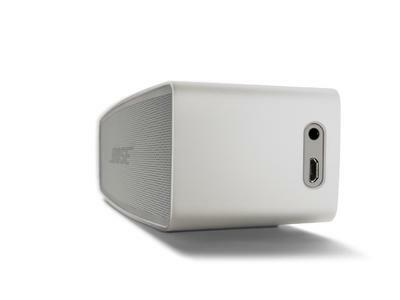 The speaker features power and volume buttons—you control all other functions from your Bluetooth device.